Do you ever walk around all day with the wrong perception of how you appear to others? 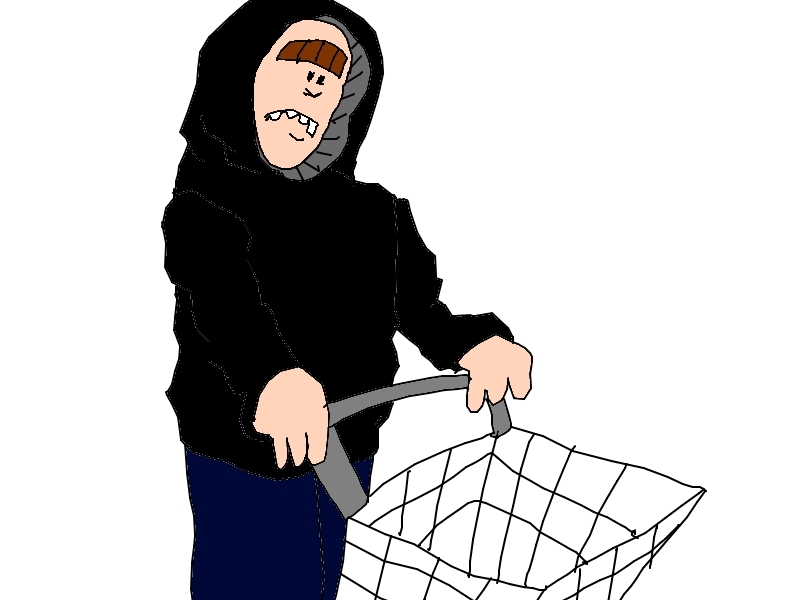 For example, I walked around today at the grocery store in a hooded sweatshirt with the hood up. I thought I could still pull this look off. I thought people saw me pass by and thought, 'Hey, look at that guy. He can sure wear a sweatshirt with the hood up. Yep, there 's no telling what he really looks like, because most of his face is all in there." Then I passed a window and saw my reflection. I learned something very important at that moment. 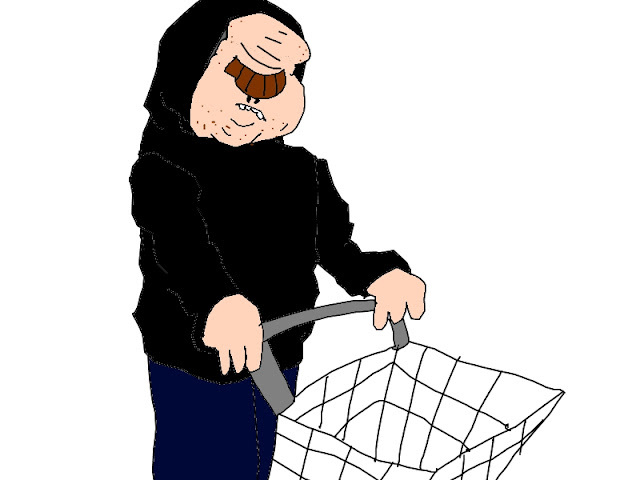 A hood does not want a fat face inside it. It wants the face to please leave in as pancake-like a fashion as possible. I think people were really thinking, "Whoah....that guy...he needs to take that hood down. Man, doesn't he know the hood is the push-up bra for the jowls? Oh man, I don't even think that guy has a nose. He must be a veteran or something." As I walk past, they thank me for my service to the country. Or do you ever have a good day until you use a bathroom with a mirror facing the toilet? oh my gosh, i laughed way too hard on this one! 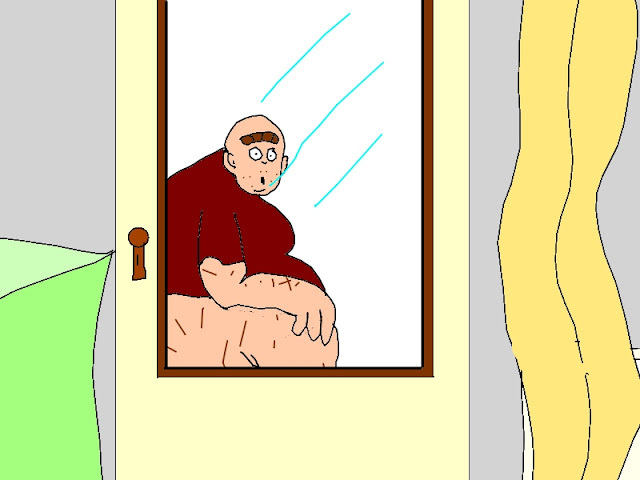 my last house had a mirror directly in front of the toilet & i swear i had that same mirror damning thought, but with far less hilarious artwork. nicely done! I love that! had a coat with a hood that I would wear with sunglasses, thinking i looked like a mysterious french actress.. turns out i looked like a joe cool sperm... white was a bad choice. I once had a light jacket that my wife thought was too "gay" looking for its color. I told her I wasn't gay or planning on switching any time soon. It somehow mysteriously disappeared one day and I never asked what she did with it, hopefully donated to a good cause, like, maybe recycled as a dog sweater or something. Every time I feel hot, I take a picture of myself with my Iphone. That way I KNOW I really am cross eyed and have the drinkles of someone twice my age with 2 rehabs under their belt. Mary-that is an excellent system for retaining humility! ...And this is why I keep my mirrors away from my toilets. Don't be too hard on yourself... toilets are the most unflattering seat known to mankind. On a slightly related note, someone decided to put a built-in mirror on the wall in our dining room. Since moving into this house I am now constantly glancing up during meals only to be reminded that I have the table manners of a feral dog. 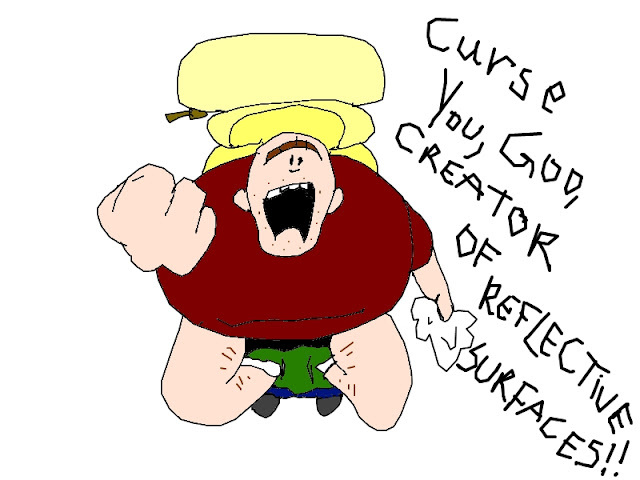 This is why I go out of my way to avoid mirrors. Never fails to darken my mood and enhance my social anxiety. Bonus if I discover late in the day that the mirror avoidance has left me walking around with a tree hanging out of my nose and half of a sandwich stuck to the corner of my mouth. HAH! Awesome. Yeah, this is called reverse anorexia and I'm also sadly afflicted by it. Oh GOD... *tears* Your drawings are freaking brilliant.